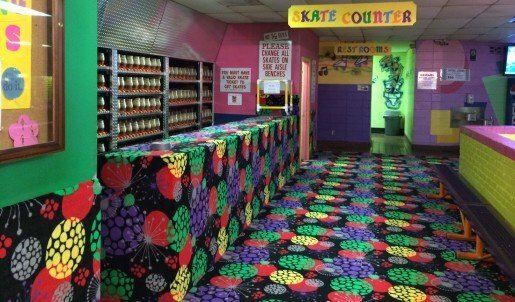 With so many wheels rolling across the carpet at roller skating centers, choosing the correct kind and color of carpet for floors and walls, as well as establishing sound maintenance techniques, are both important to keep skaters and operators happy. Paint and carpet color work together for a cheerful look at Skate Country East. Employees keep an eye out for gum chewers because gum is so hard to get out of the carpet. 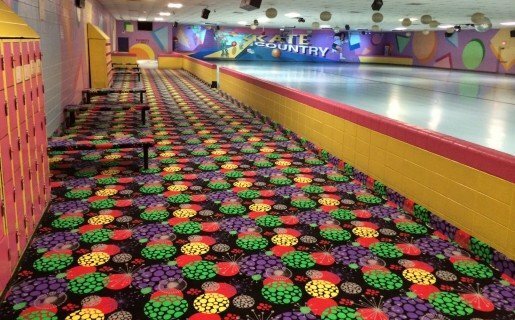 Bright and festive, carpet brightens this space at Skate Country East in Tucson, Ariz. Bringing in a professional cleaning service every few months enhances the efforts made by the staff using the center’s own carpet cleaning machine. Tucson, Ariz., is home to Skate Country East, where Manager Marlene Leer offered her tips for carpet selection and maintenance. “It’s important to choose a standard commercial carpet, one that’s sturdy, such as a 30-ounce carpet, which is what we use. In regard to maintenance, we use our own carpet cleaning machine, and we have a professional cleaning service every few months.” Leer noted that she also does spot cleaning regularly. “In particular, we look for any gum; it’s easier to clean it up when it’s fresh. Prevention is also important where gum is concerned. We look out for that and try to stop people from using gum in the center, because it’s so hard to get out of the carpet.” Leer’s guest rate is holding steady at over 104,000 annually. 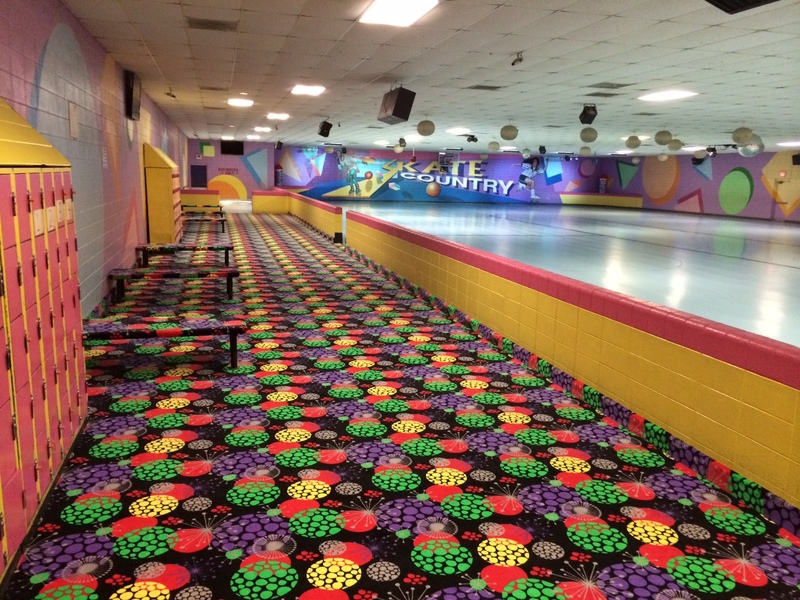 Nationwide, choosing the right carpet and the right cleaning techniques means roller skating centers have smooth rolling ahead.